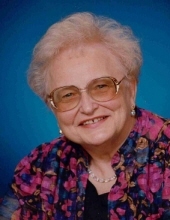 Dolores A. Voet, 89, of Lincoln formerly Beatrice, died at Lancaster Manor in Lincoln on Friday, November 16, 2018. She was born on July 22, 1929 in Marshall County, KS, the daughter of Frank and Elizabeth Novotny Fisher. She graduated from Moore County High School in Farmer City, IL and returned to Nebraska and attended Doane College for one year. She married Leonard Voet on September 27, 1952 and they moved from Kansas in 1956 and lived in various towns in Nebraska including Wymore and Howells before moving to Beatrice in 1979. She graduated from the University of Nebraska-Lincoln in 1965 with a Bachelor of Science degree in elementary education. She taught school for 25 years in various locations in Kansas and Nebraska. She received an endorsement in 1975 in special education and was then employed at Beatrice State Developmental Center as a special education teacher. She was a member of the Eagles Auxiliary, the Moose Lodge, the American Legion Auxiliary of Beatrice, N.S.E.A., N.E.A., and St. Joseph's Catholic Church. Survivors include one son, Perry Voet and wife Vicki of Omaha; two daughters, Trudy Johns and husband Mark and Amy Peterson and husband Steve all of Lincoln; five grandchildren, Chelsea Voet, Joshua Voet, Erika Johns, Jared Johns and Cole Peterson; several nieces and nephews. She was preceded in death by her parents, Frank and Elizabeth Novotny Fisher; her husband Leonard, who died April 12, 2013; her grandmother, Elsie Fisher; her great-aunt and great-uncle, Emma and Mike Husa. Mass of Christian Burial will be held at 2:00 P.M. on Tuesday, November 20, 2018 at St. Joseph’s Catholic Church of Beatrice with Father Robert Barnhill, Celebrant. Burial will be in the Evergreen Home Cemetery of Beatrice. A memorial has been established to the family for future designation. A Scriptural Rosary Service will be held on Monday, November 19, 2018 at 6:30 P.M. at the Fox Funeral Home of Beatrice. The body will lie in state at the Fox Funeral Home of Beatrice from 4:00 P.M. Sunday to 8:00 P.M. Monday and not at the church one hour preceding the services on Tuesday. www.foxfuneralhome.net Fox Funeral Home of Beatrice in charge of arrangements. To send flowers or a remembrance gift to the family of Dolores V. Voet, please visit our Tribute Store. "Email Address" would like to share the life celebration of Dolores V. Voet. Click on the "link" to go to share a favorite memory or leave a condolence message for the family.